At home our pets have their bowls filled with water and can go satisfy their thirst whenever they need. Unfortunately, that's not the case in the outside world. Sometimes we forget to bring a portable dog bowl then you're forced to poke a hole into a water bottle. 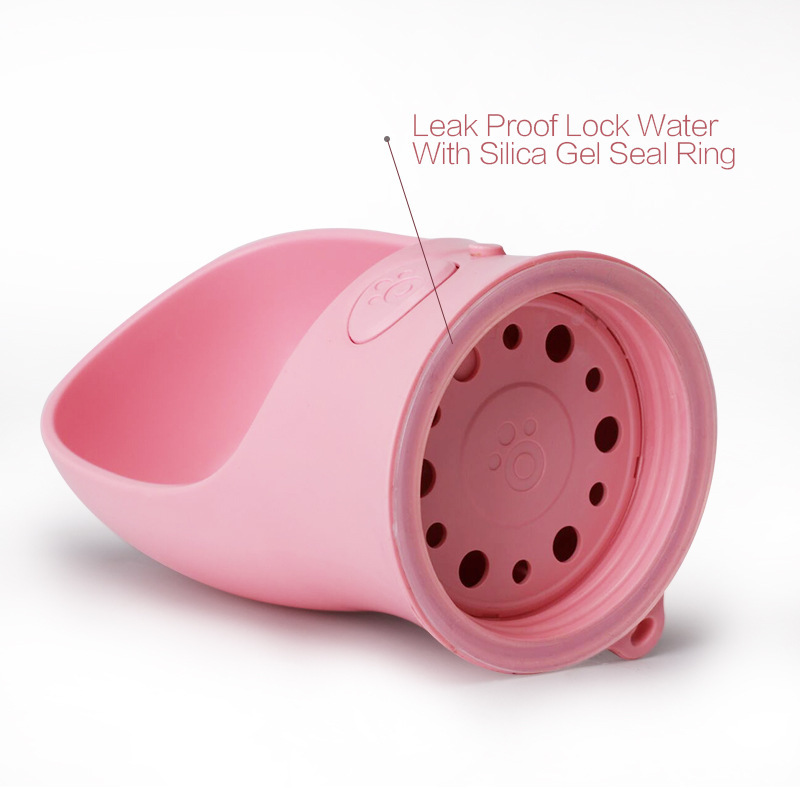 Our portable dog water bottle will be a life saver for those on-the-go situations! Using a regular water bottle almost always results in huge mess. Your dogs tongue basically splashes water all over the place. Maybe 1/3 actually goes in their mouth while the rest is on your clothes and the floor. 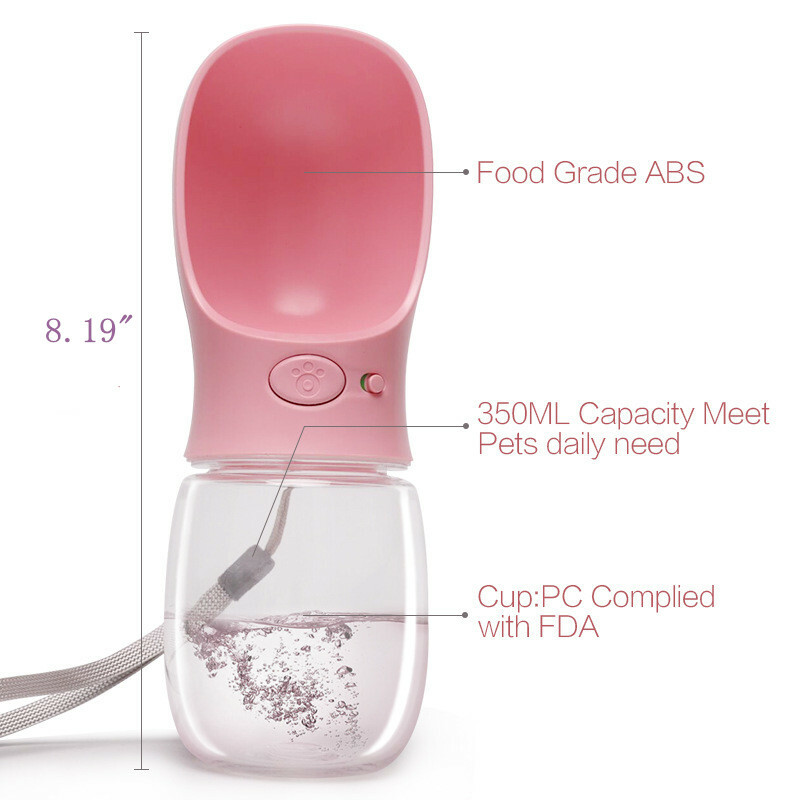 Luckily, this dog water bottle has a unique design that not only helps you quench your dog's thirst but also minimizes any mess!